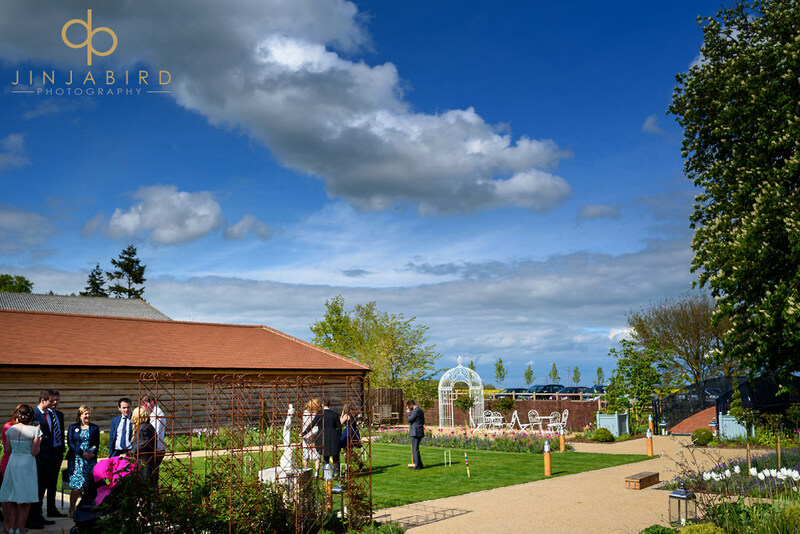 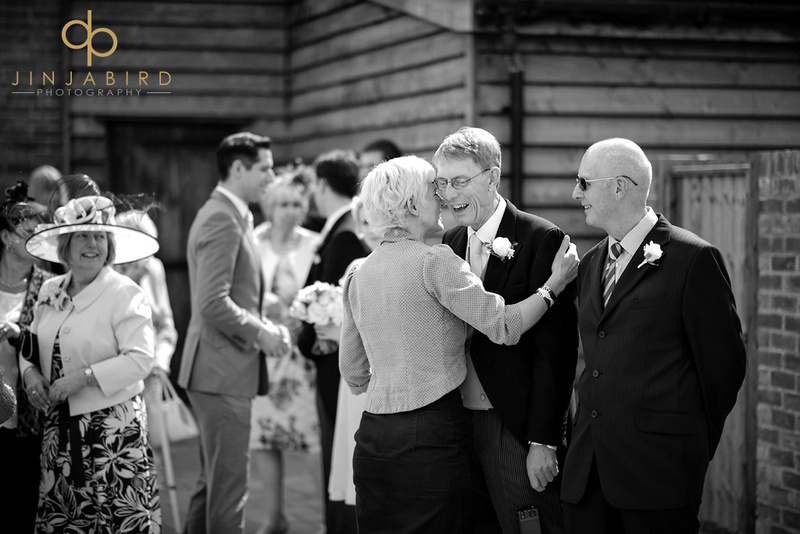 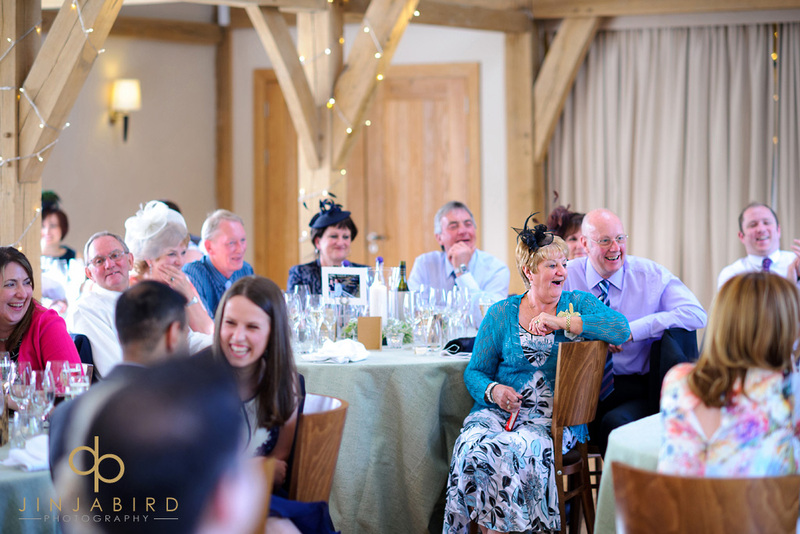 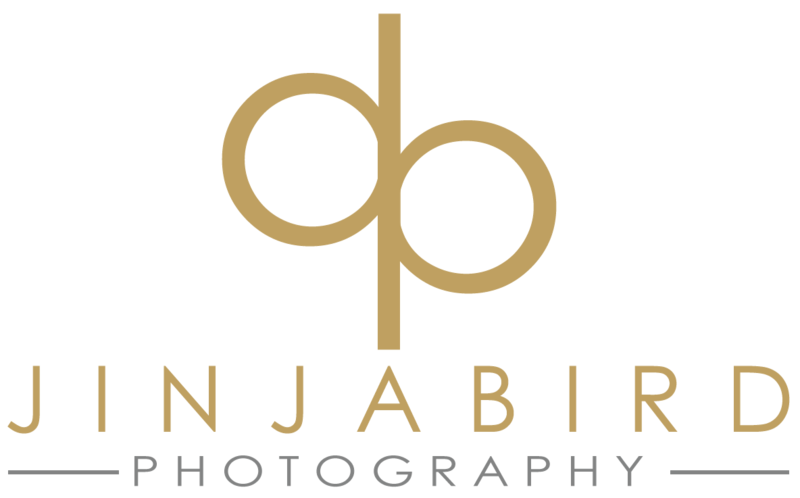 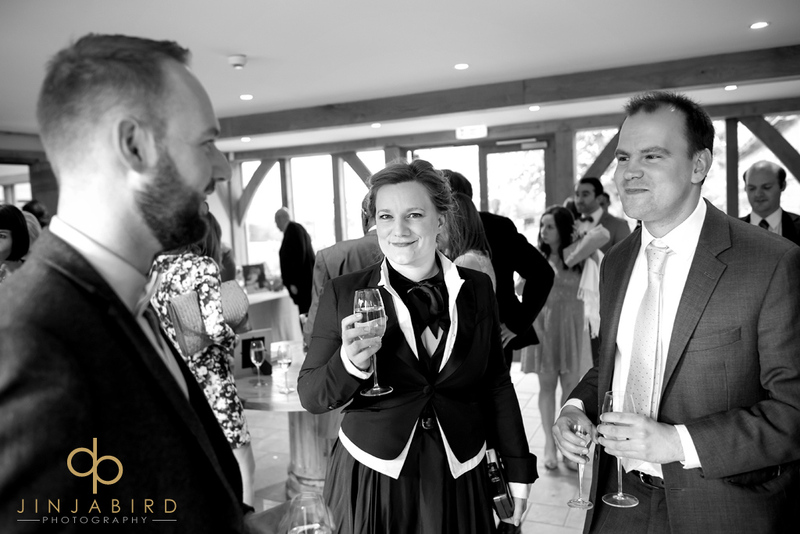 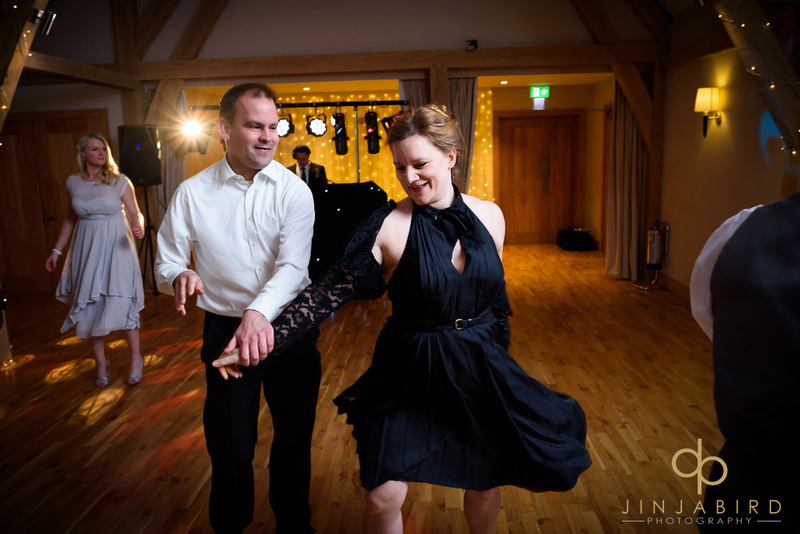 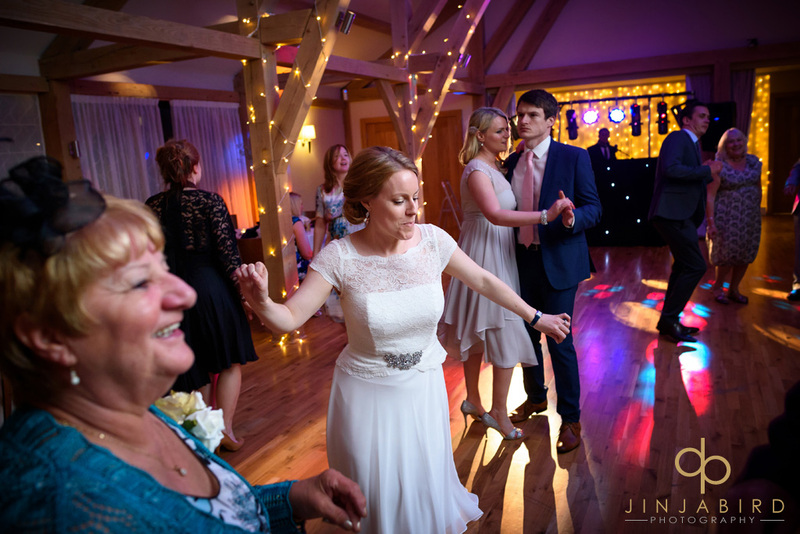 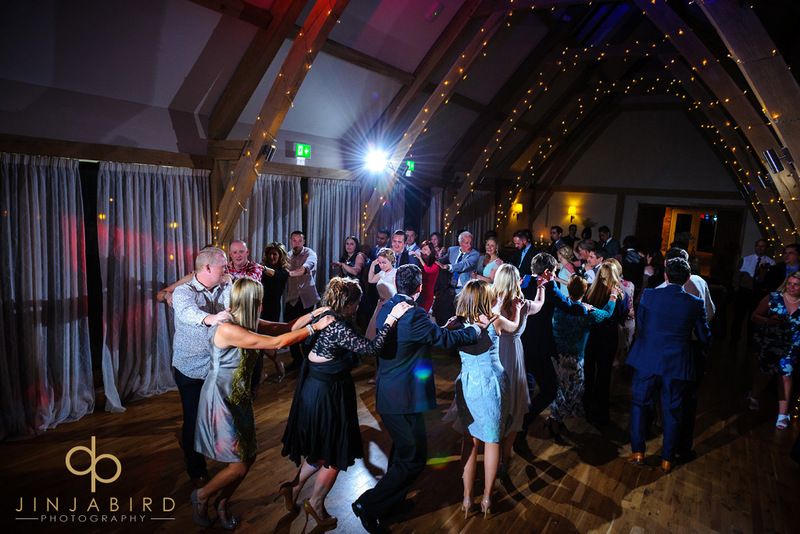 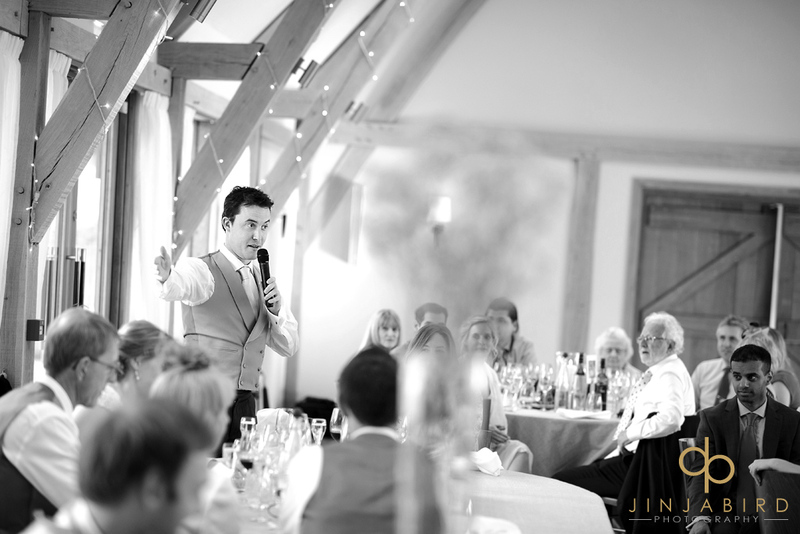 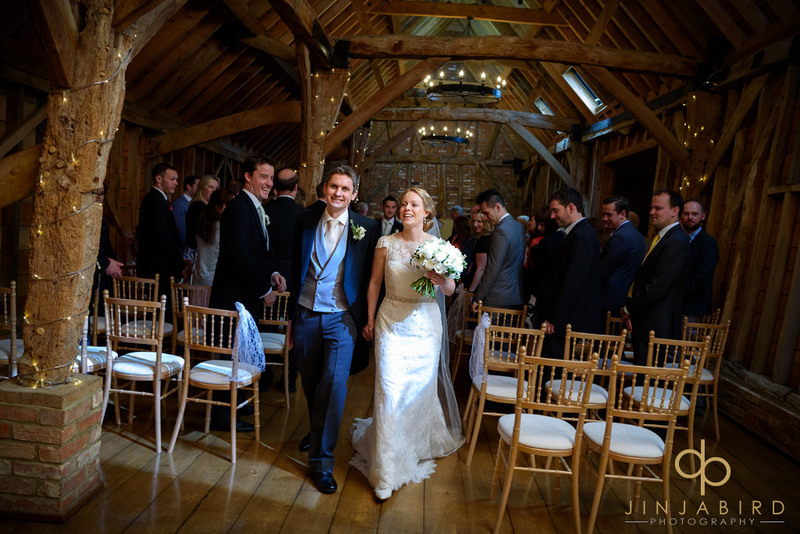 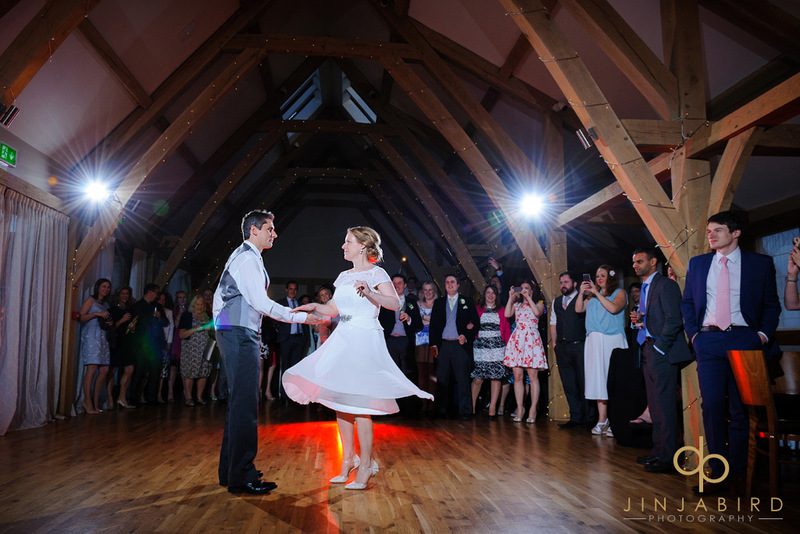 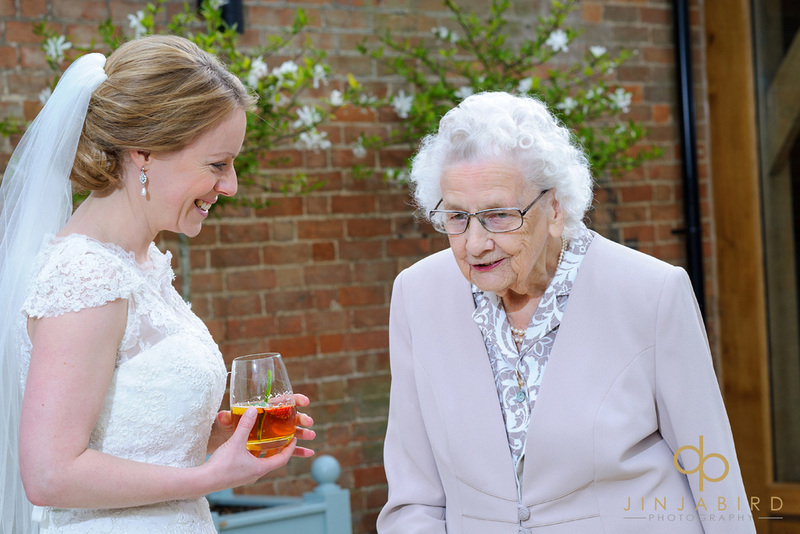 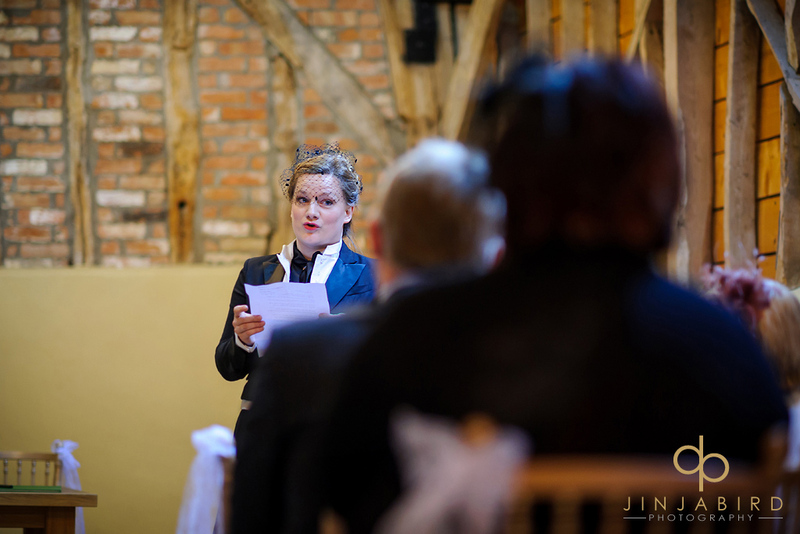 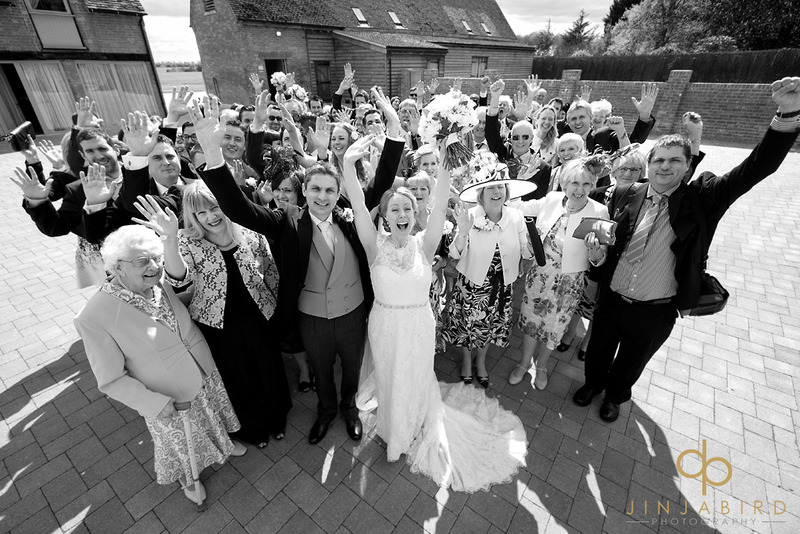 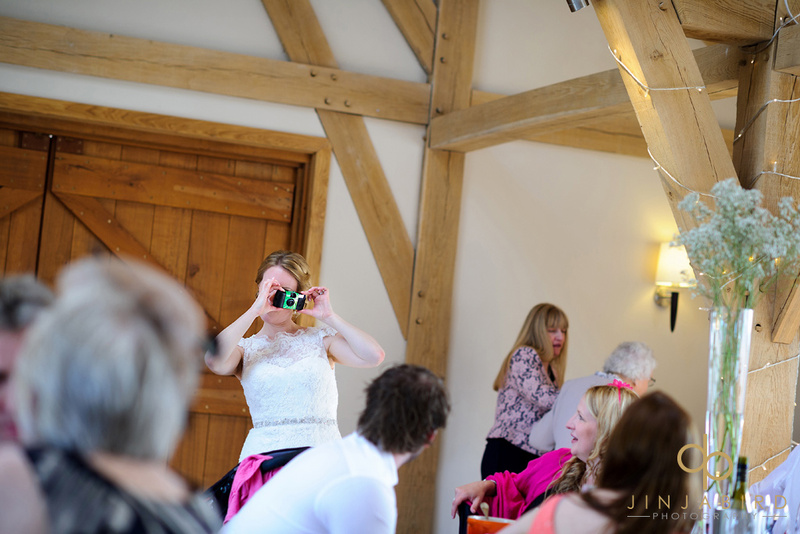 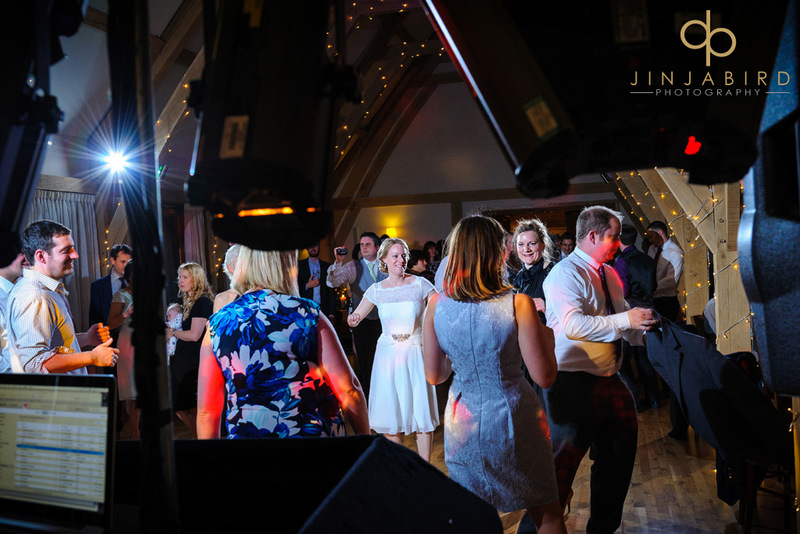 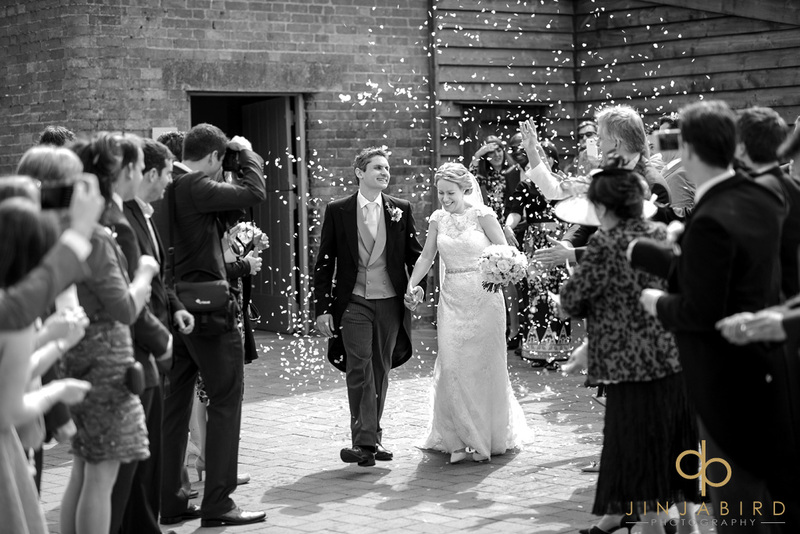 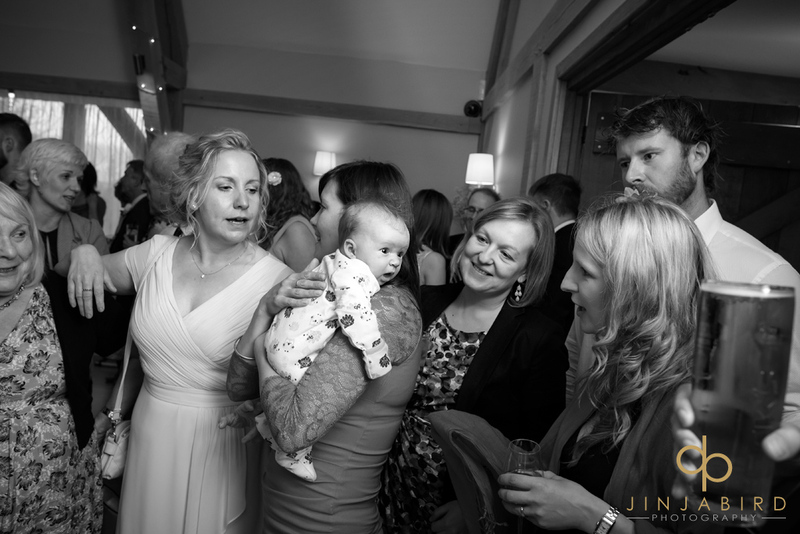 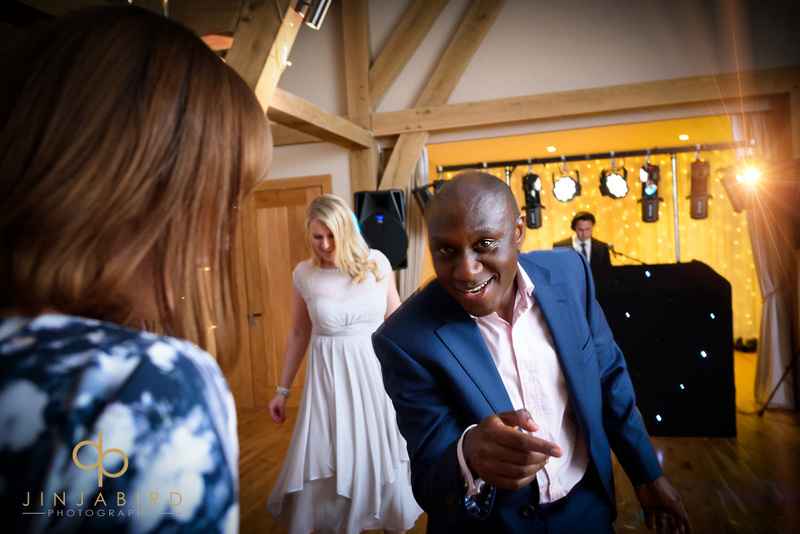 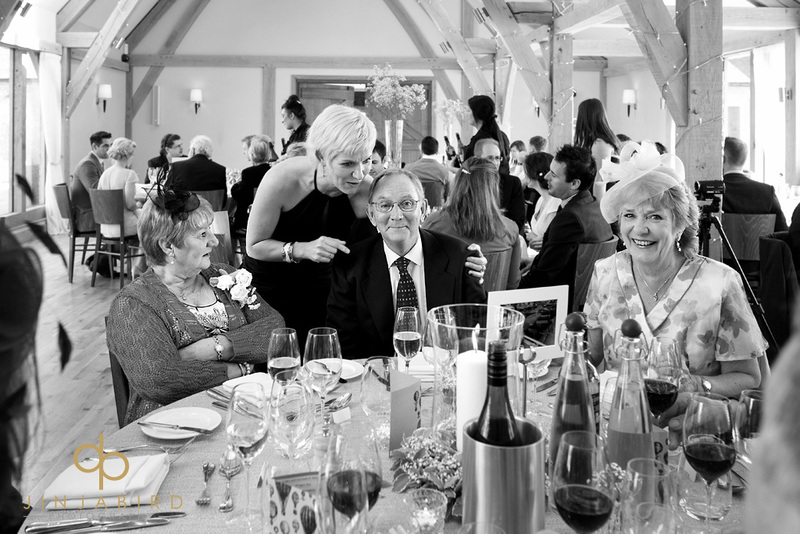 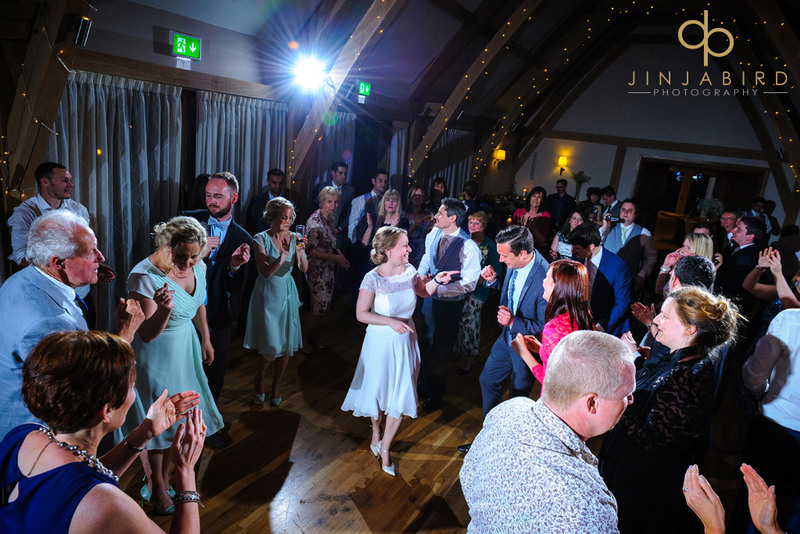 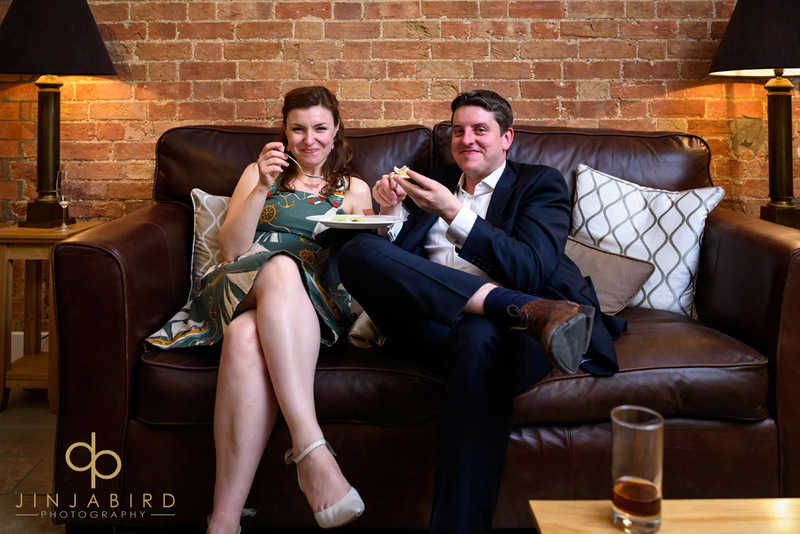 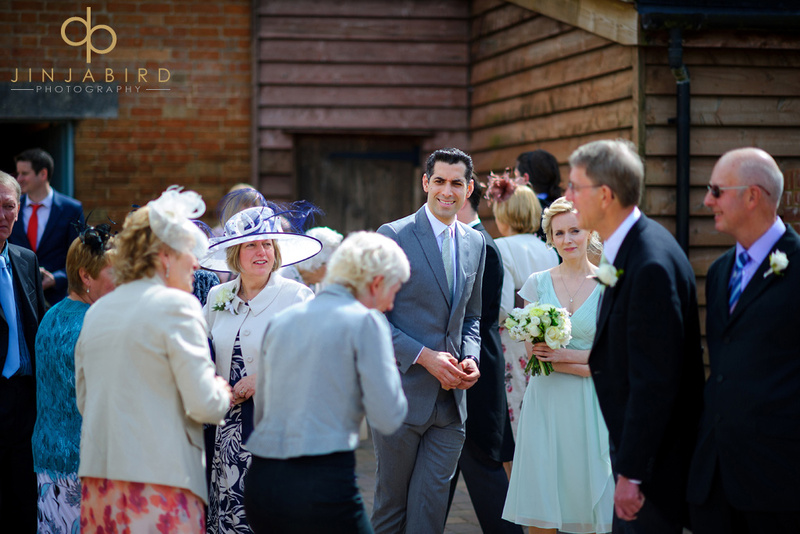 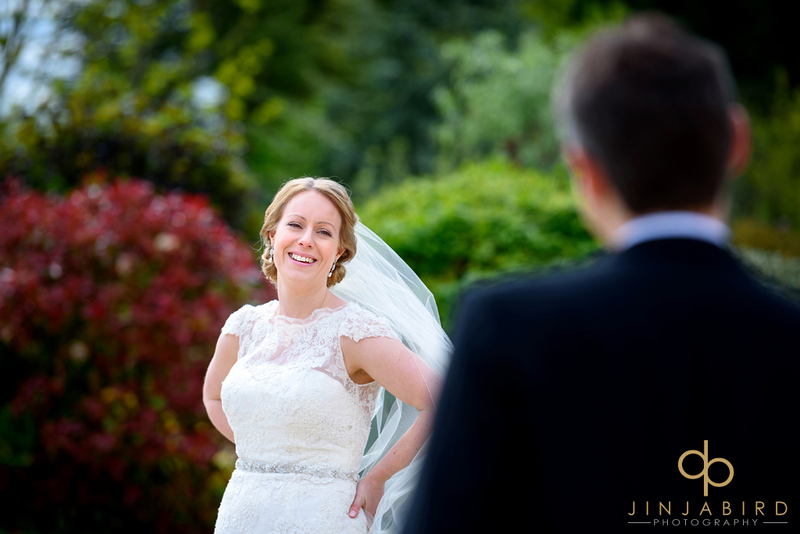 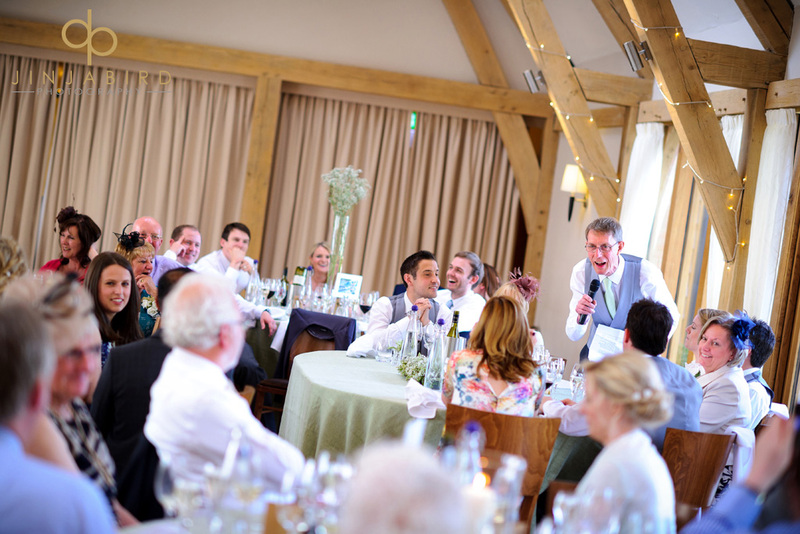 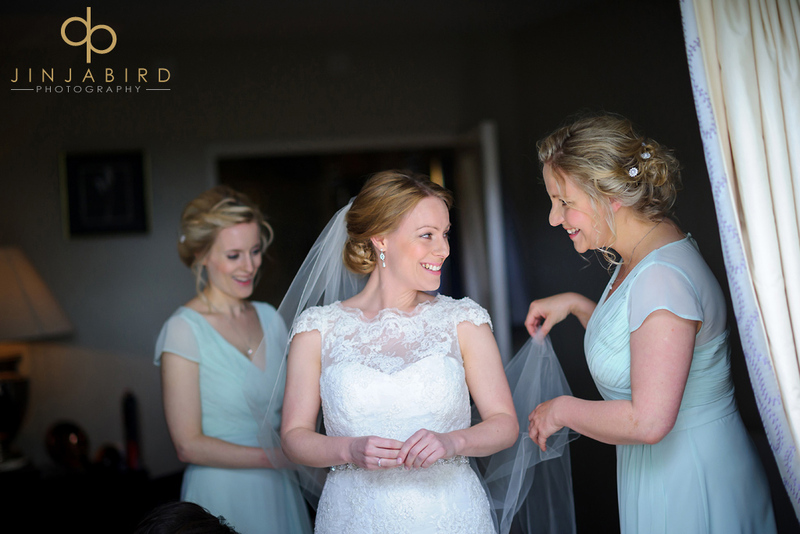 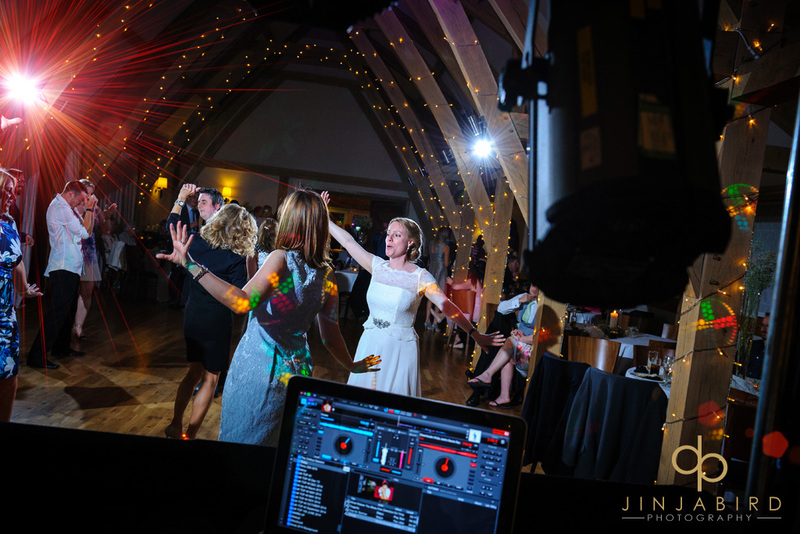 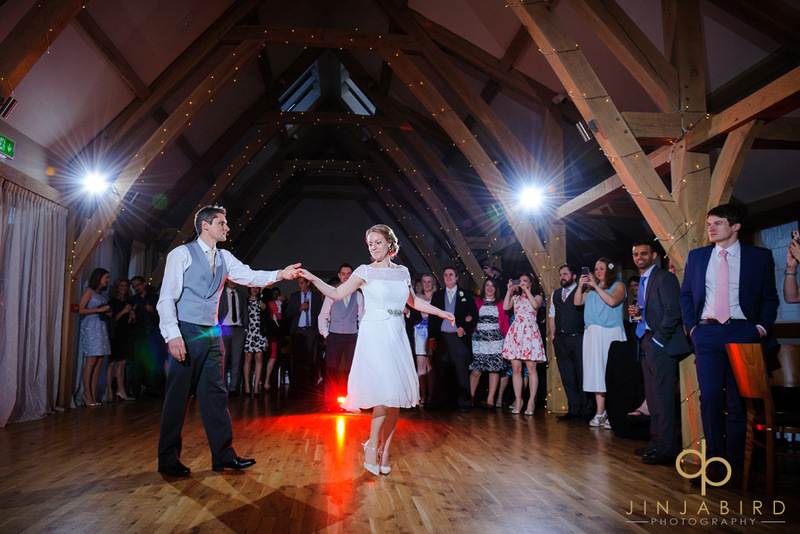 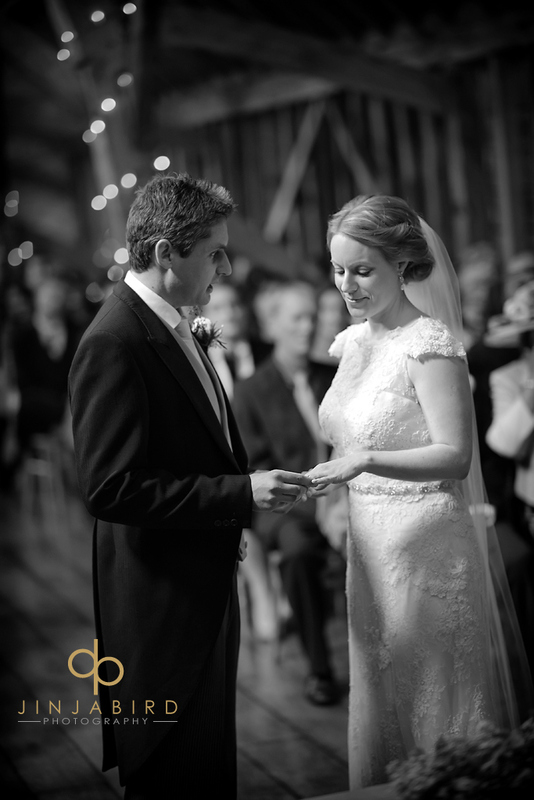 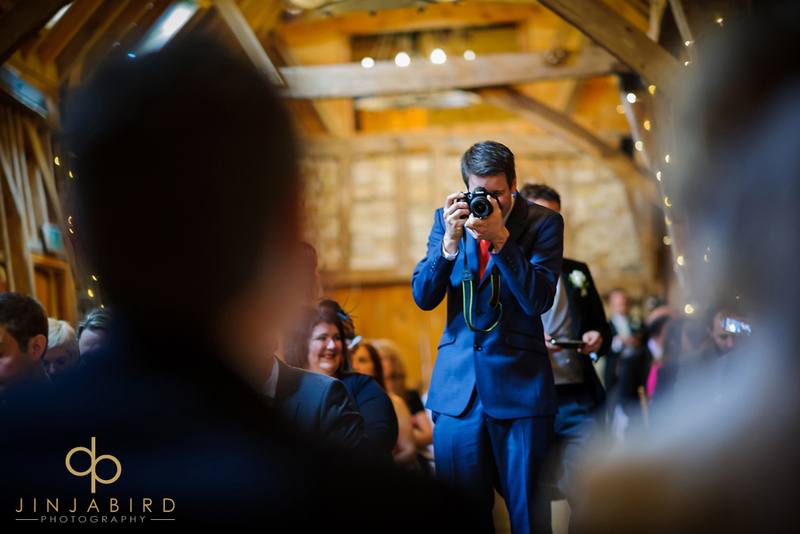 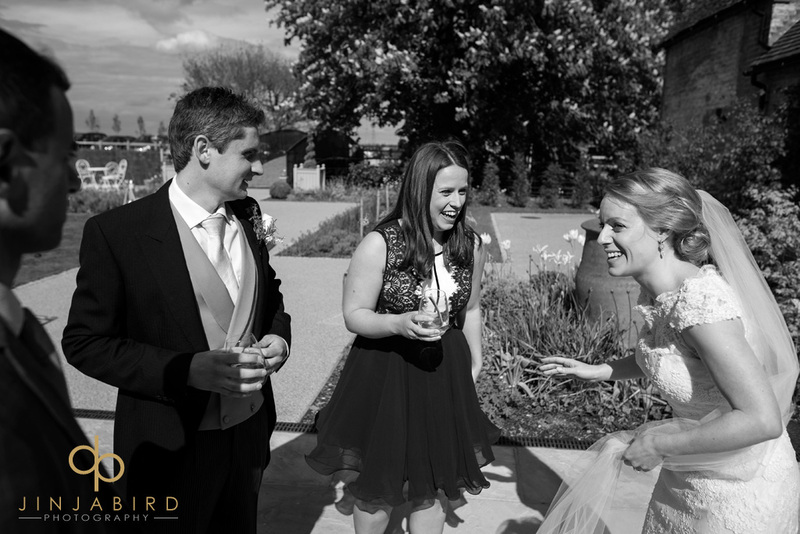 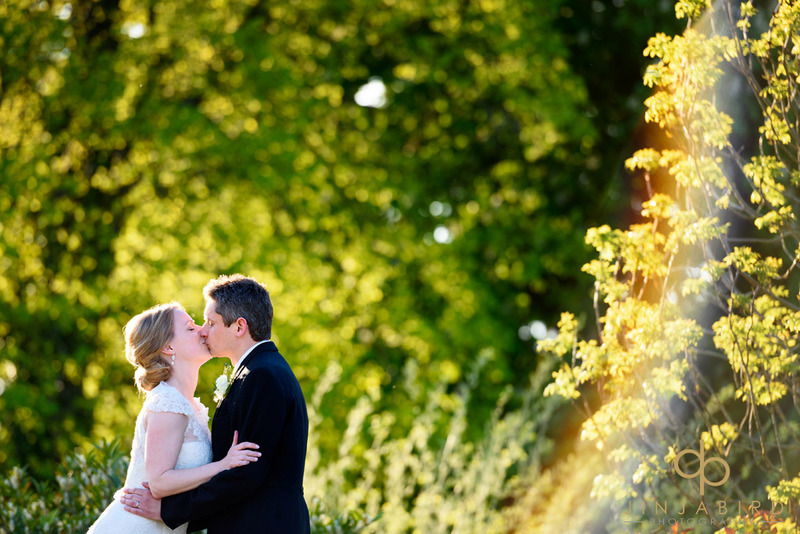 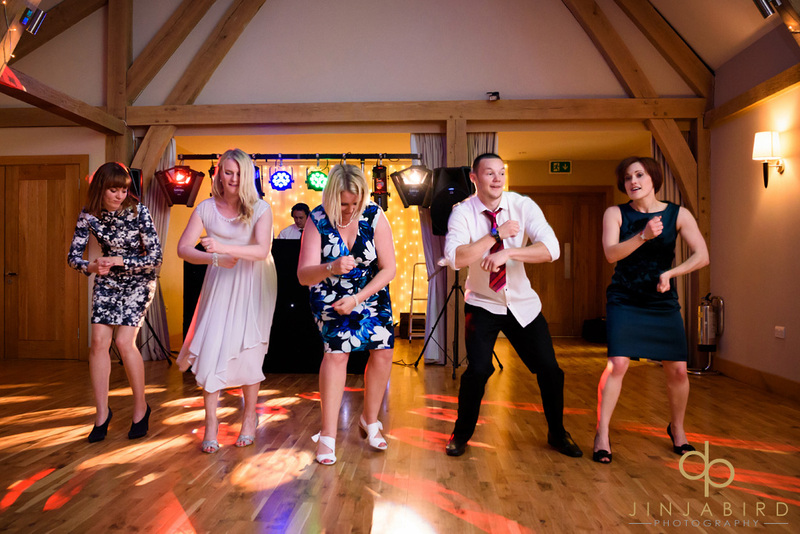 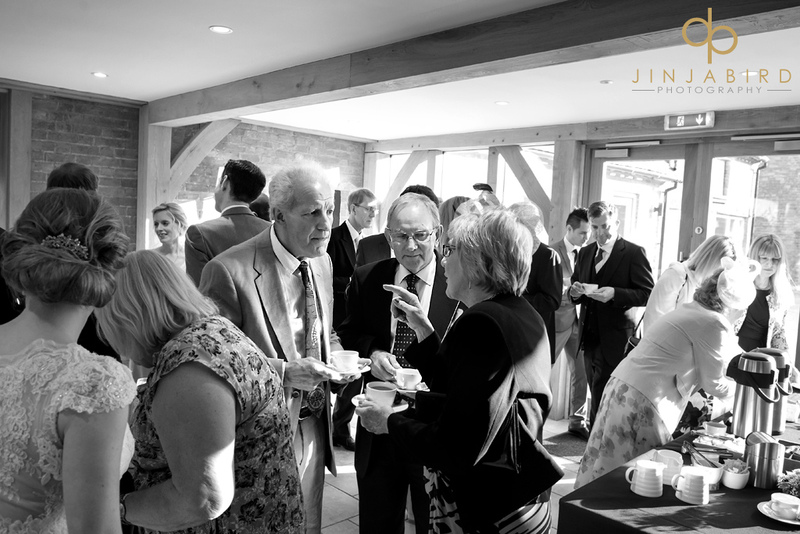 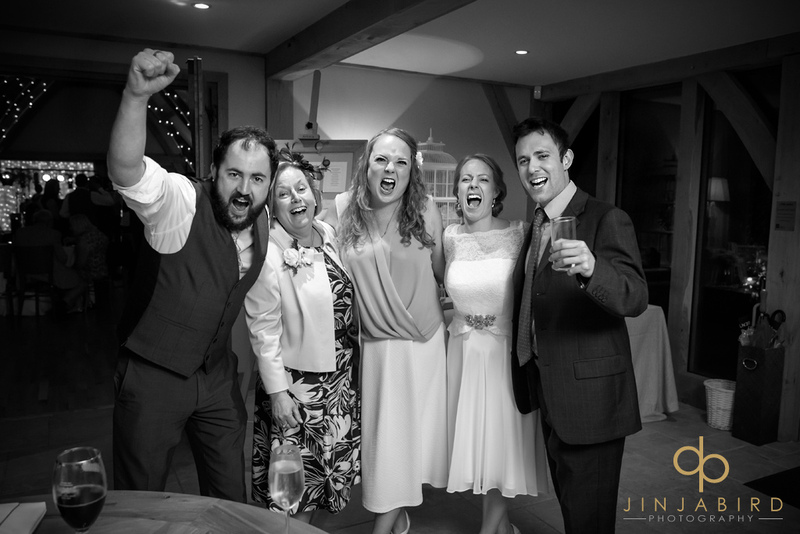 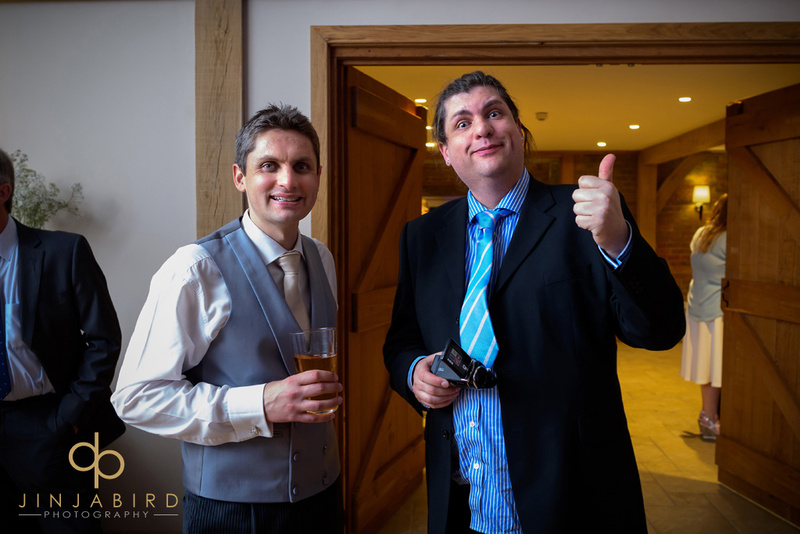 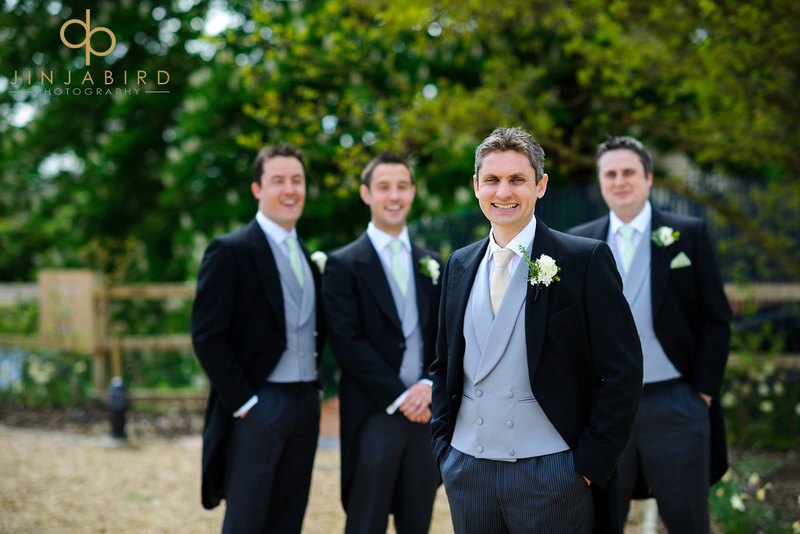 Wedding photography Bassmead Manor Barns – by Jinjabird. 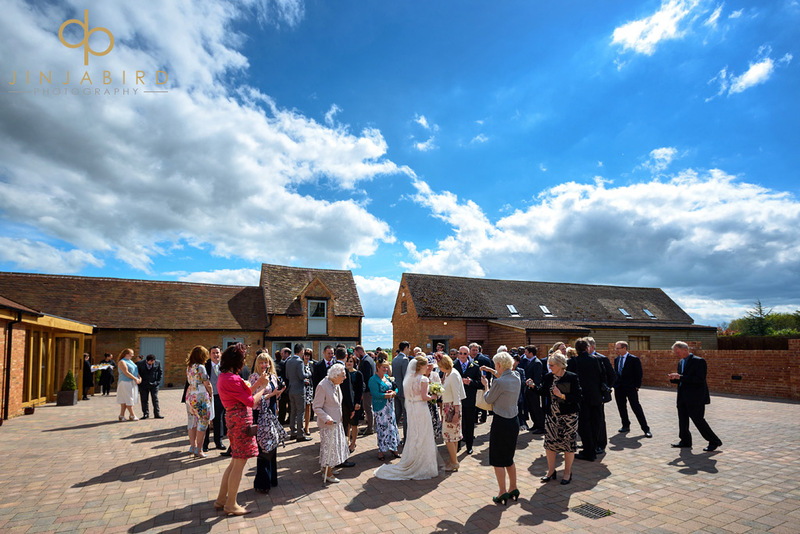 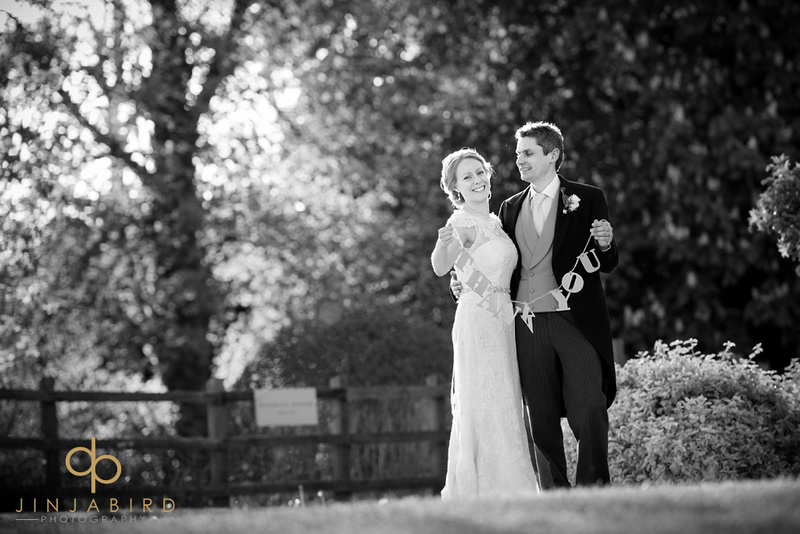 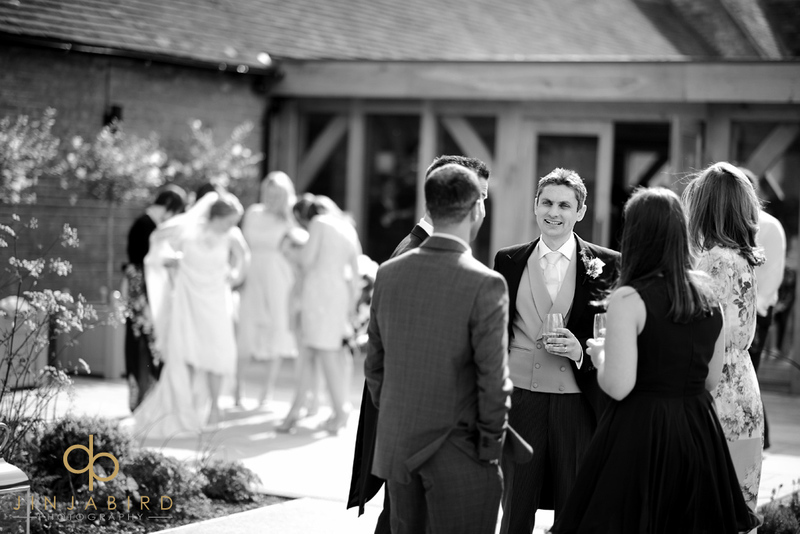 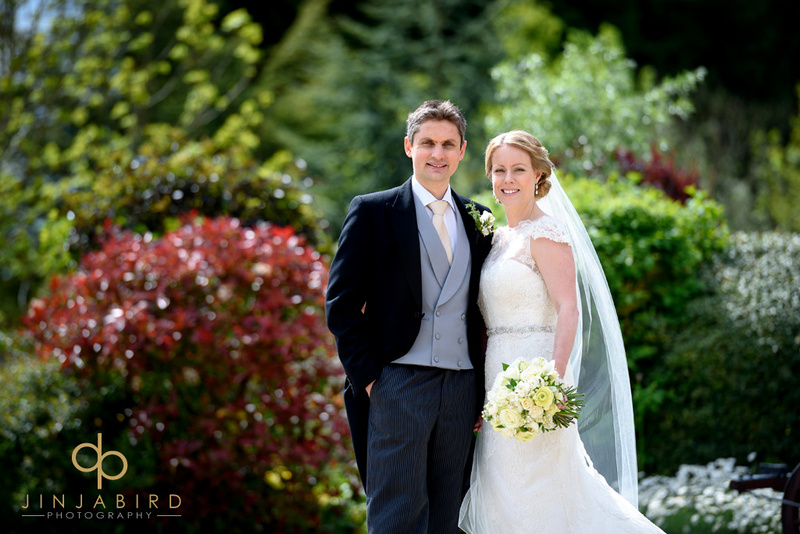 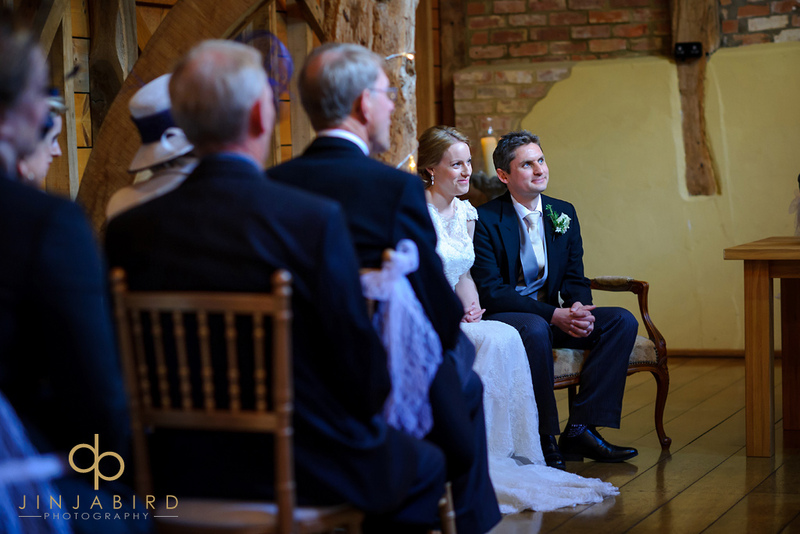 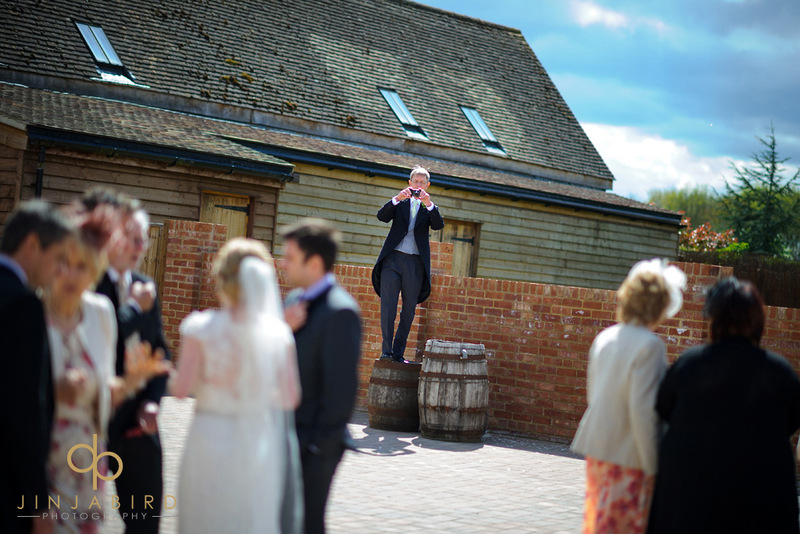 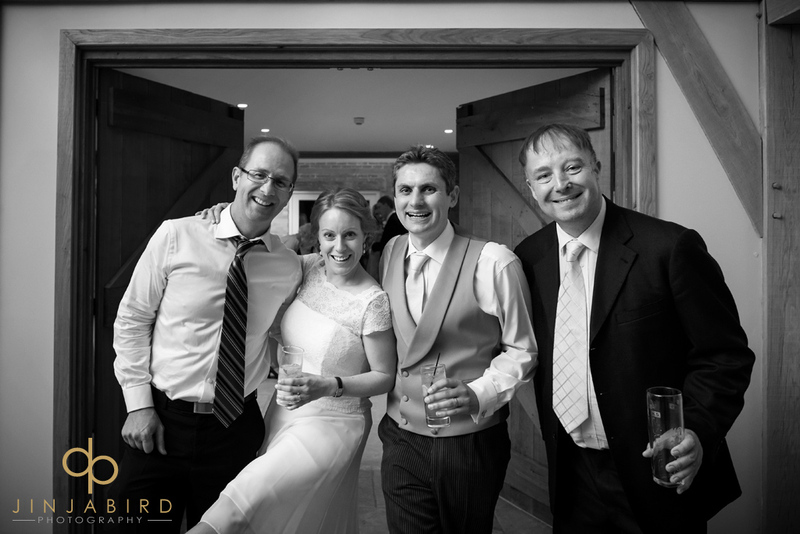 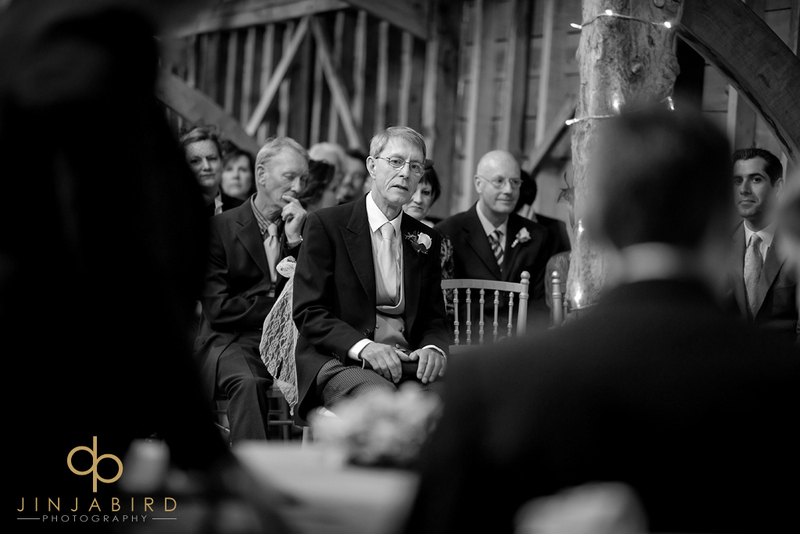 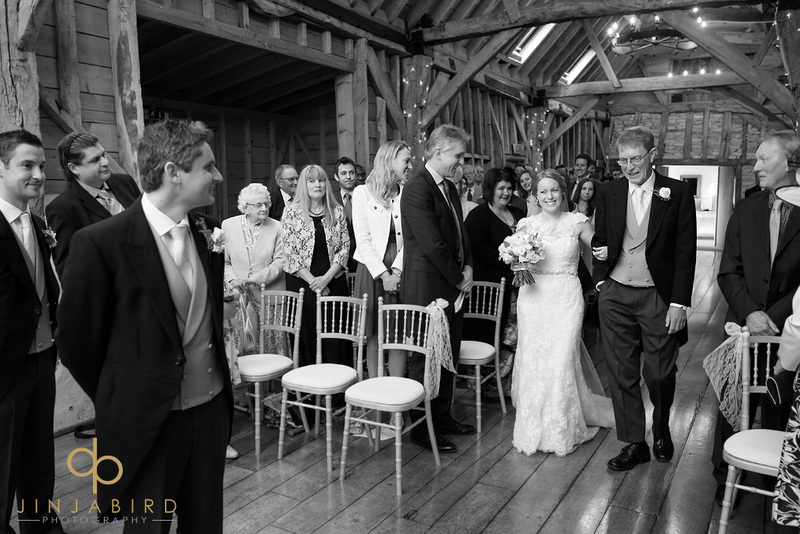 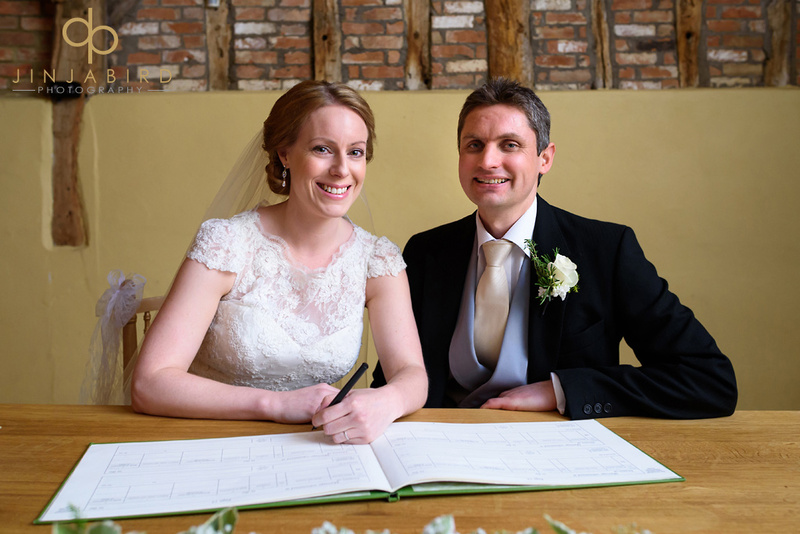 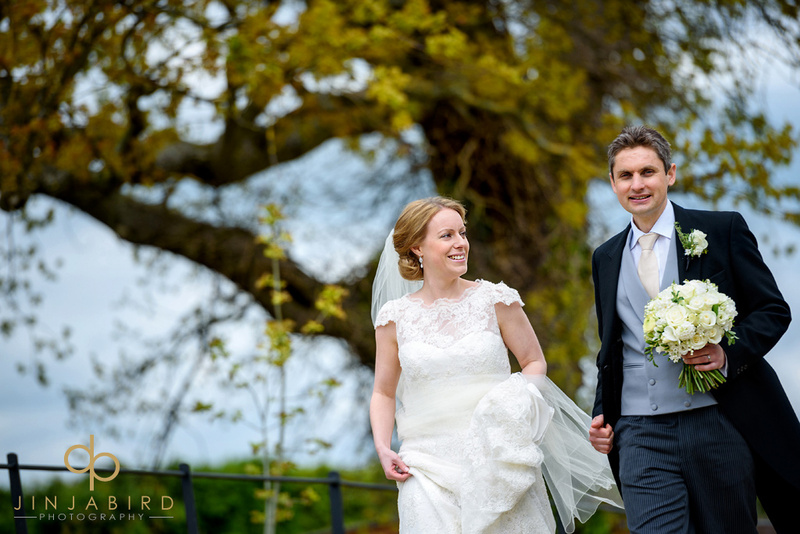 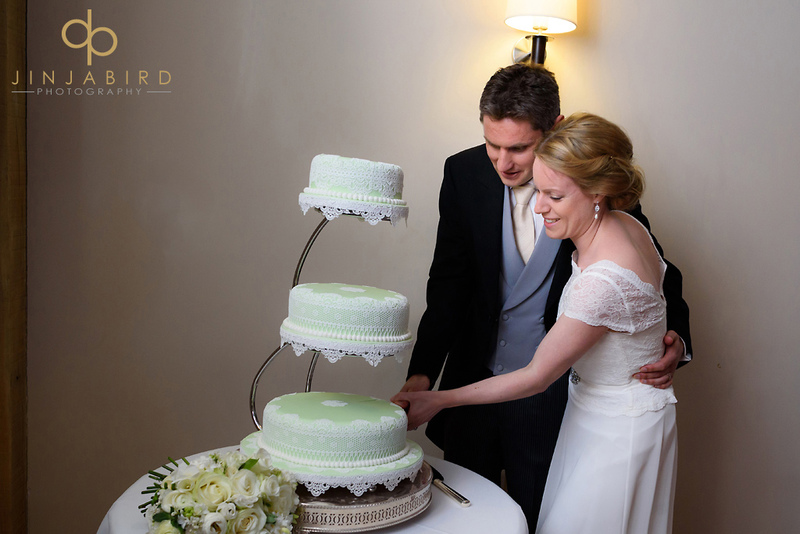 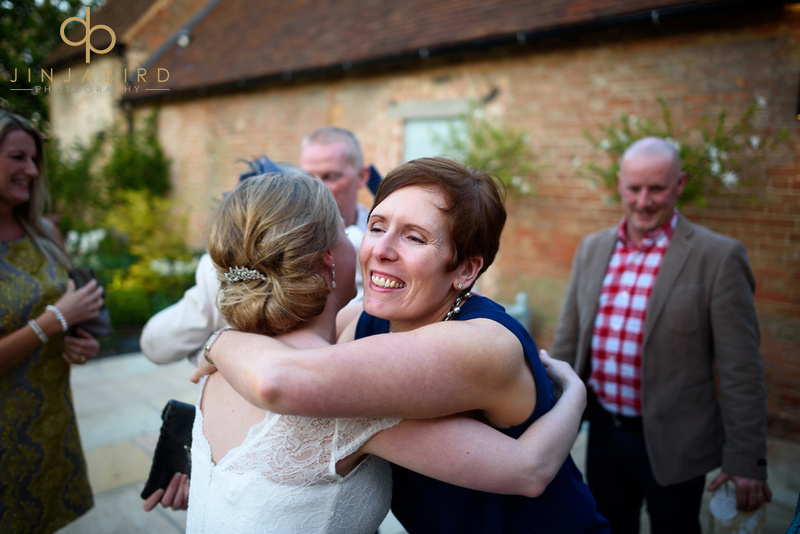 On Saturday I had the pleasure of photographing Clare and Rich’s wedding at Bassmead Manor Barns. 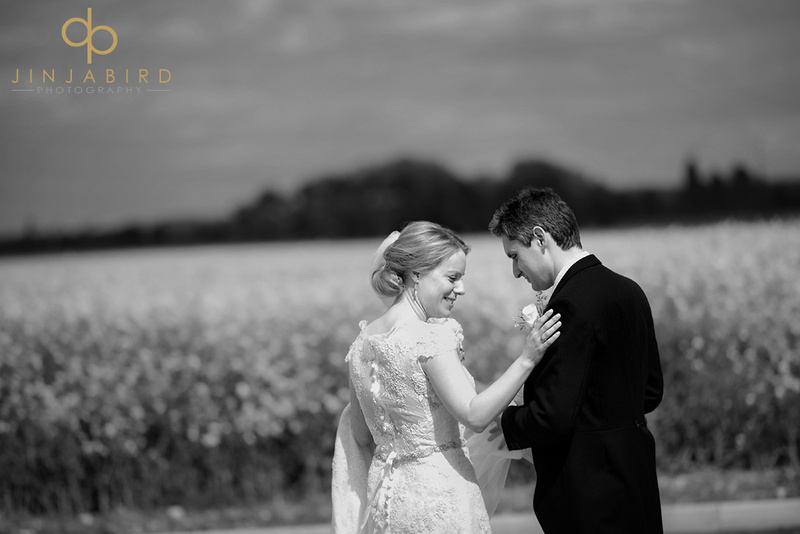 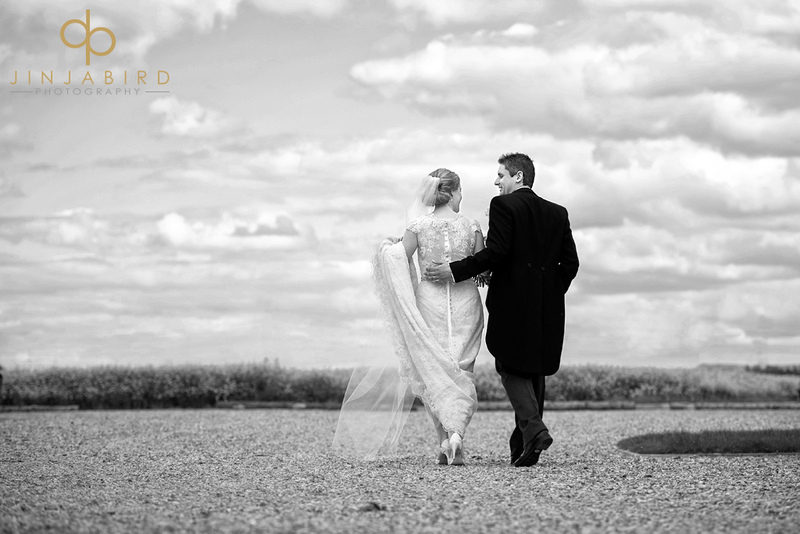 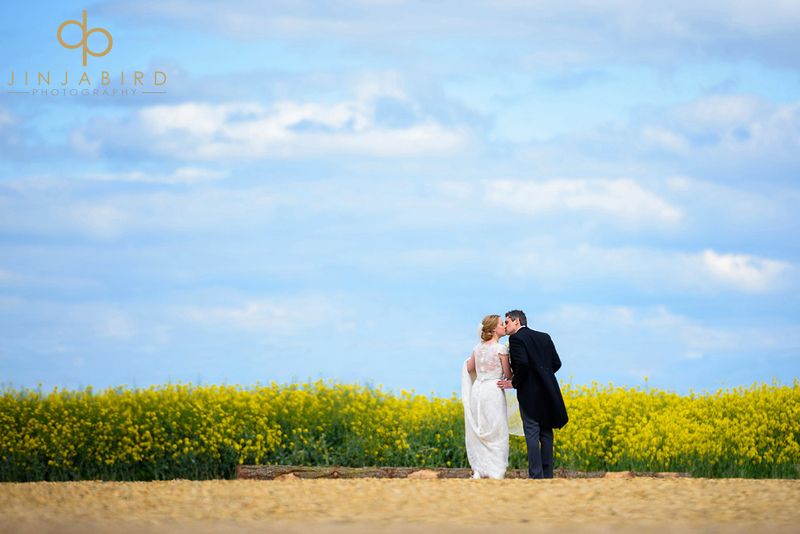 I was very excited to see them again after their engagement shoot which took place at Duxford Air Museum. 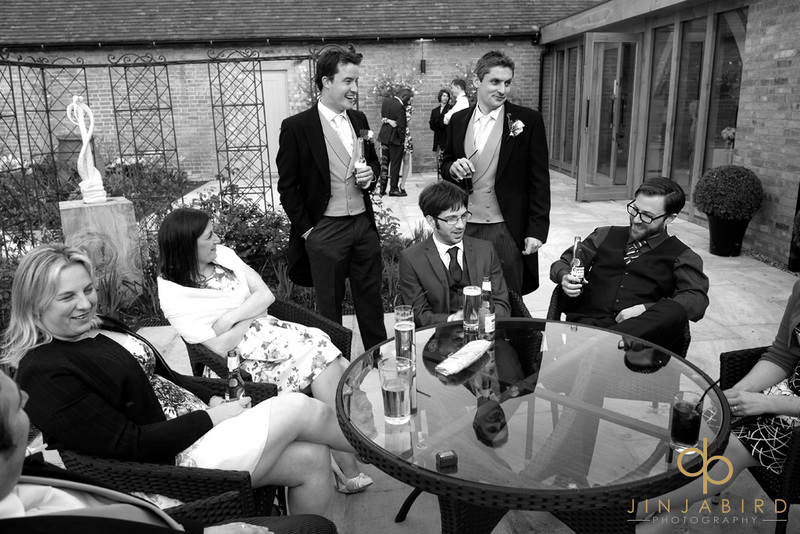 Because the day had an aeronautical theme they used the photos from the shoot on the tables. 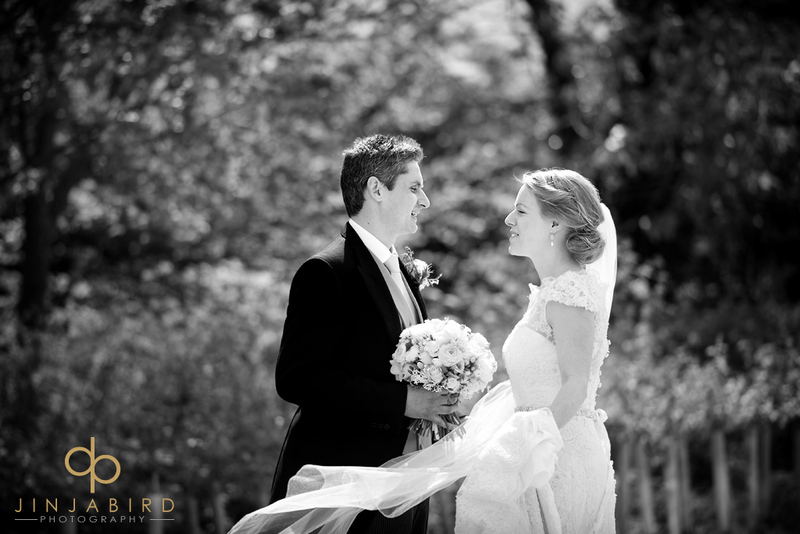 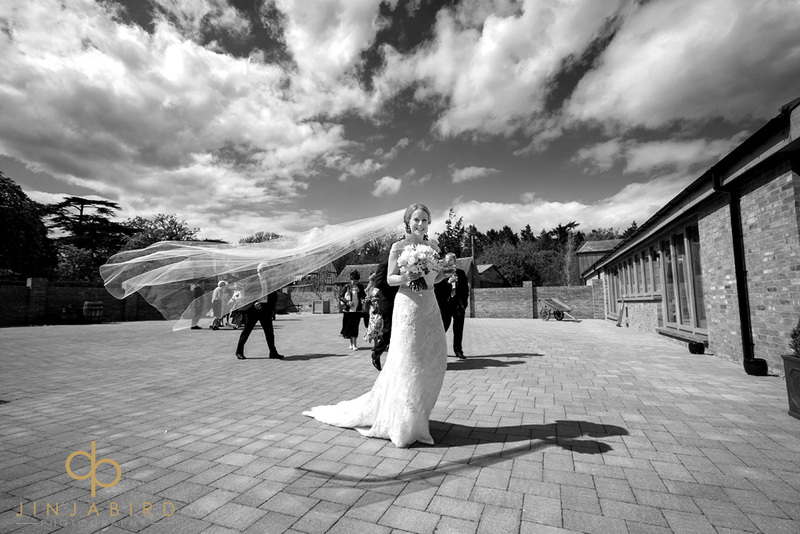 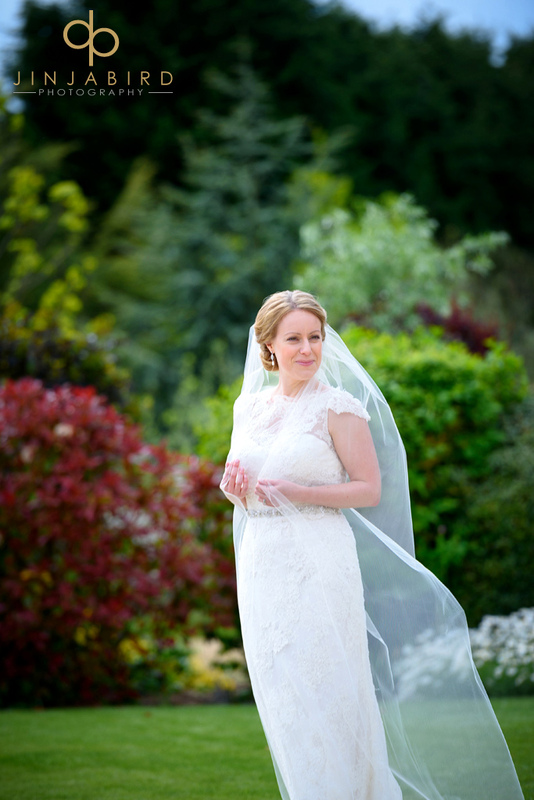 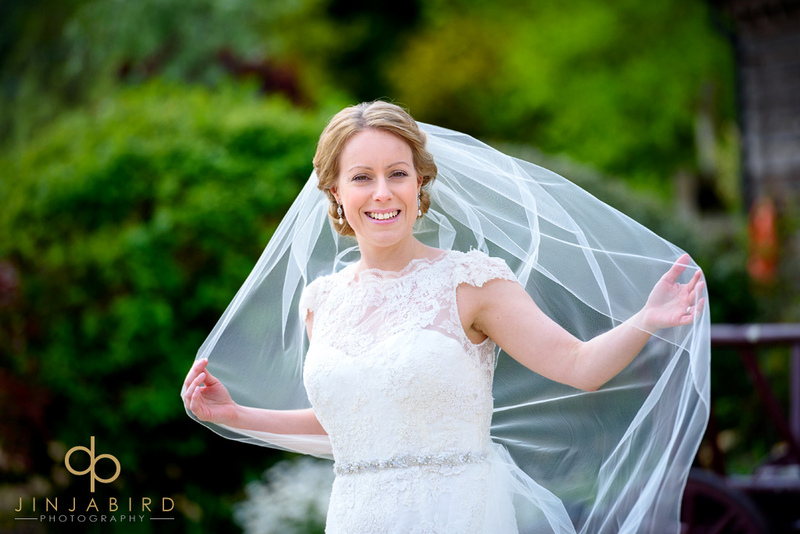 I loved Clare’s veil especially the way it moved in the wind. 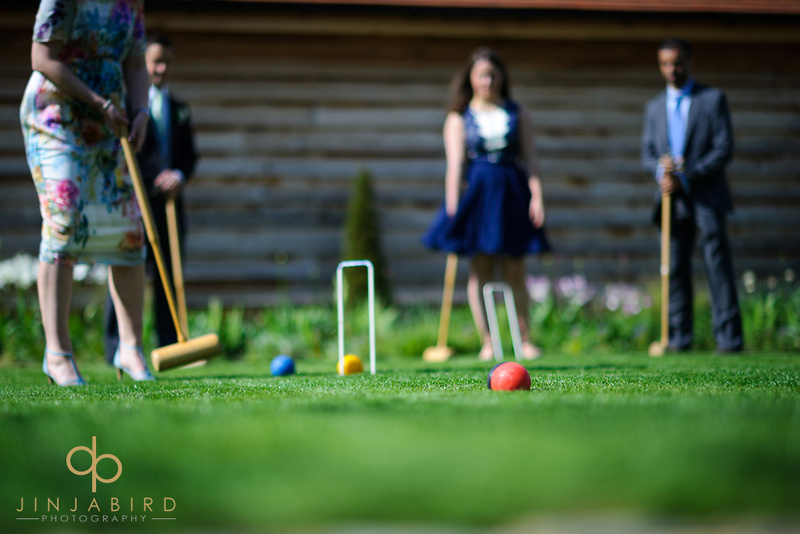 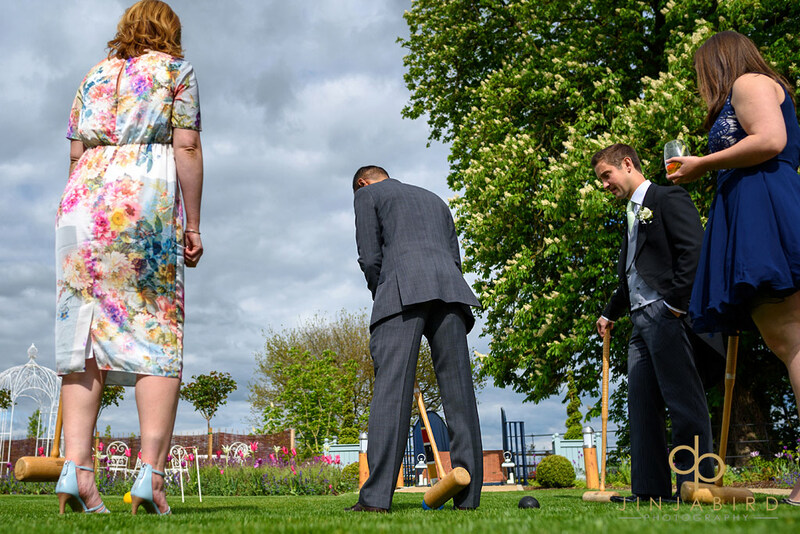 Because it was such a lovely day the guests were able to play croquet on the lawn. 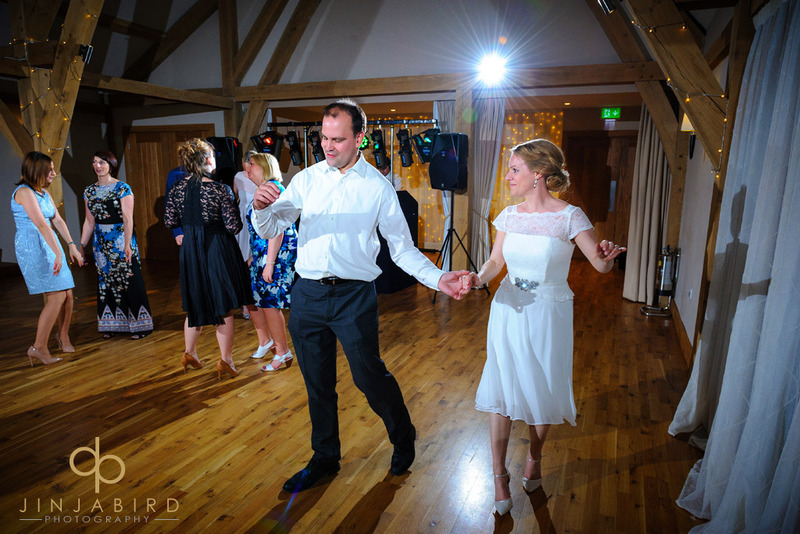 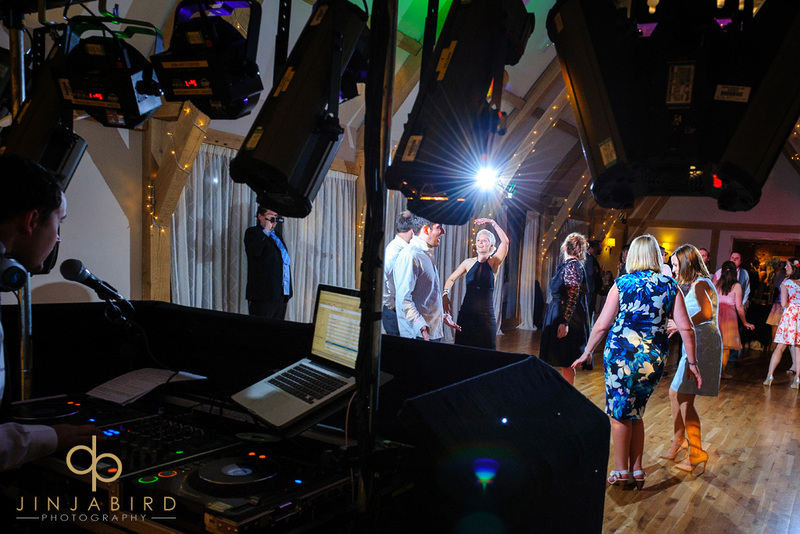 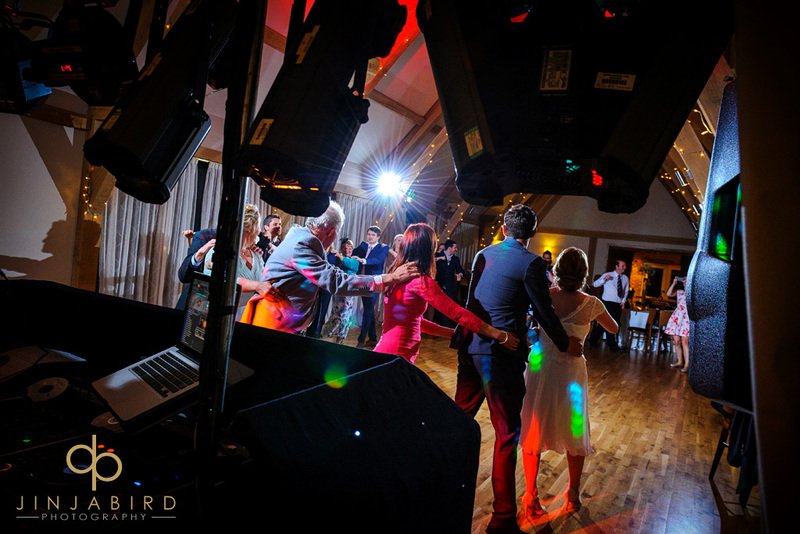 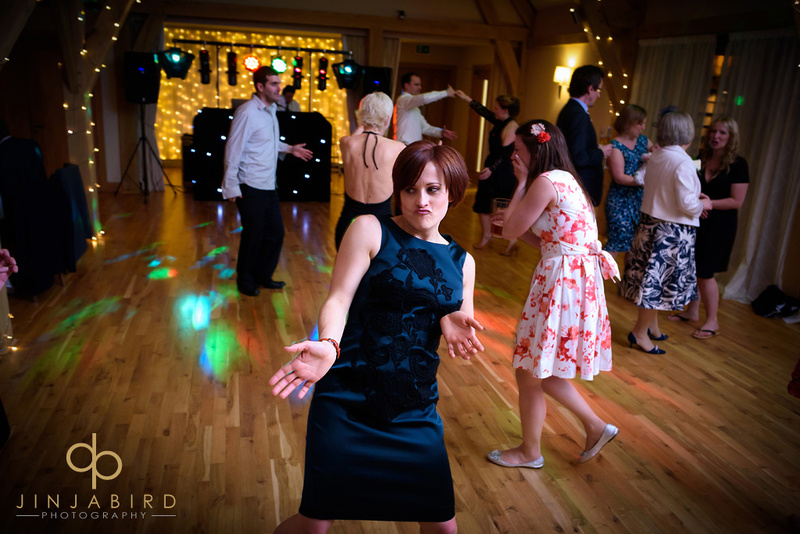 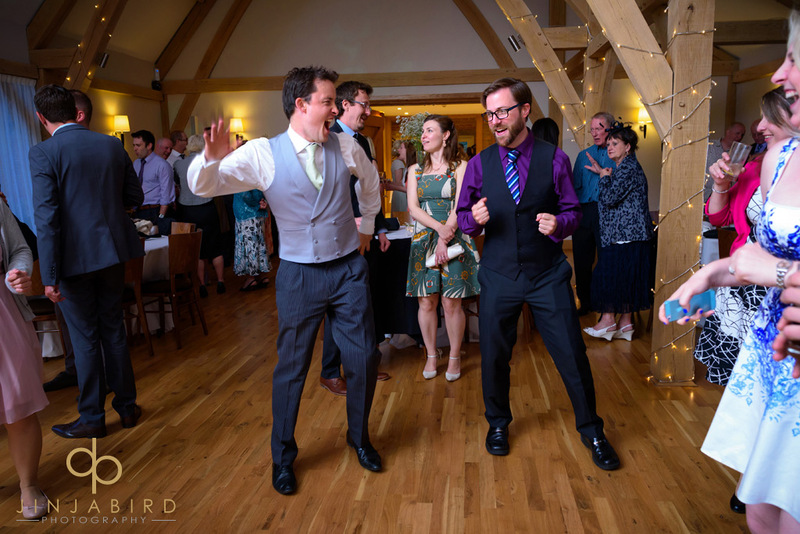 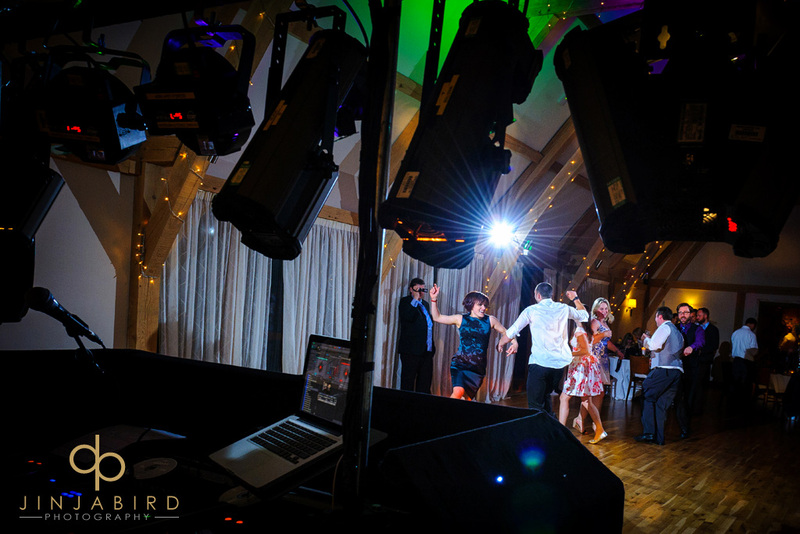 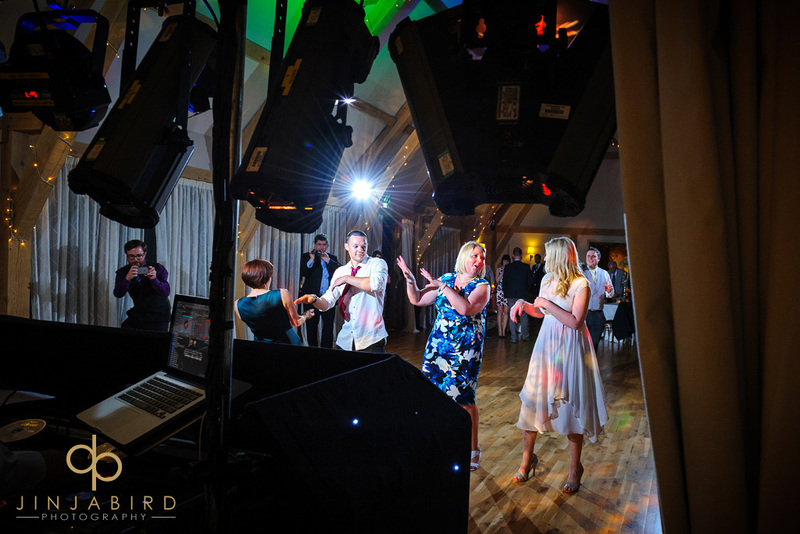 Clare and Rich did some slick moves for their first dance that had a distinct ballroom flavour. 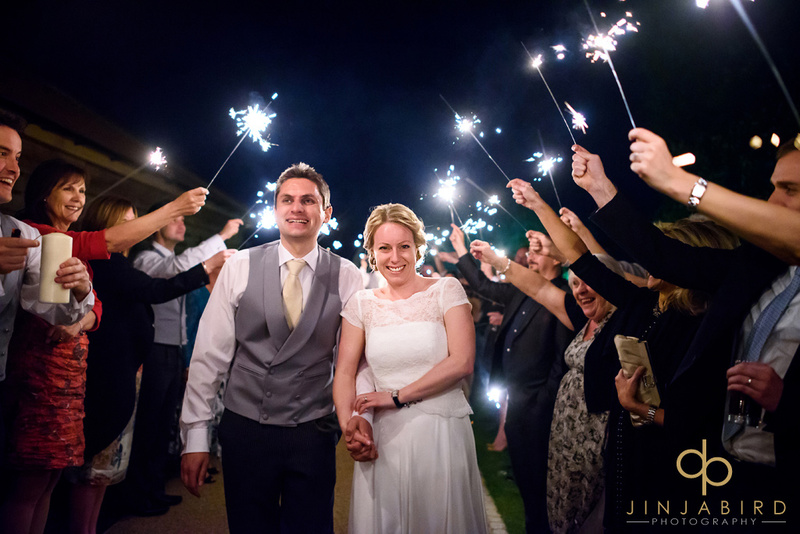 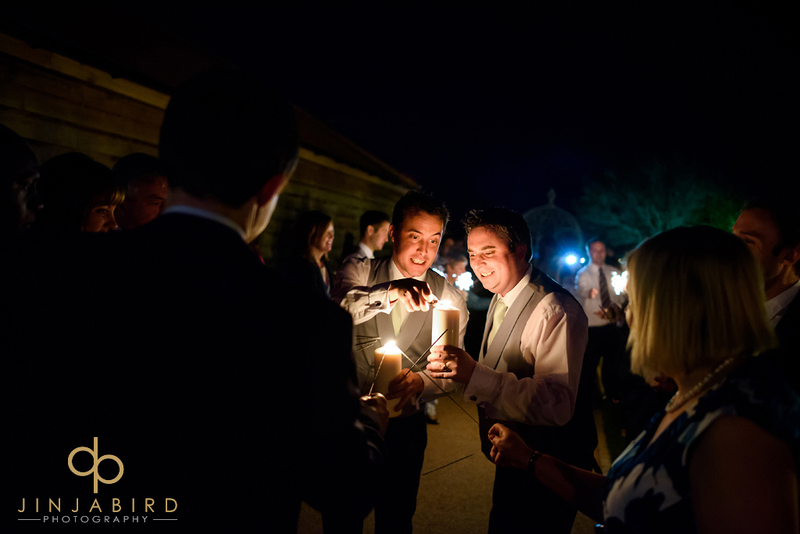 At the end of the evening everybody made an arch of sparklers which the bride and groom walked through. 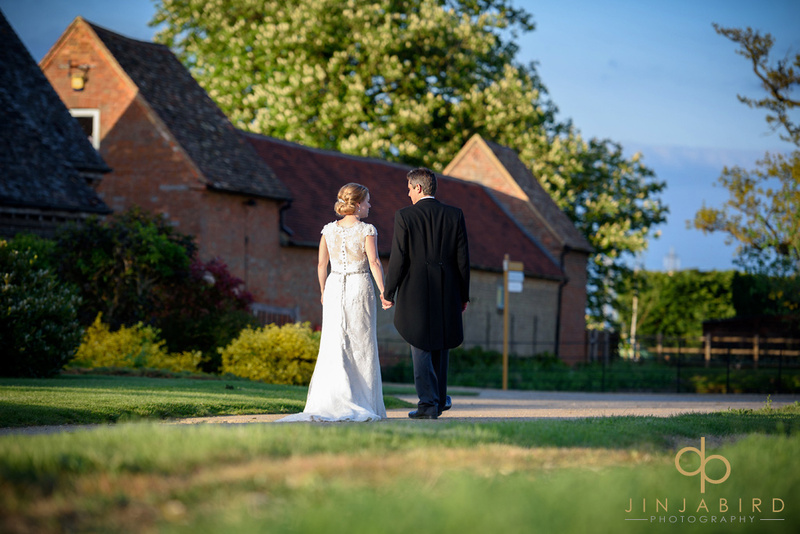 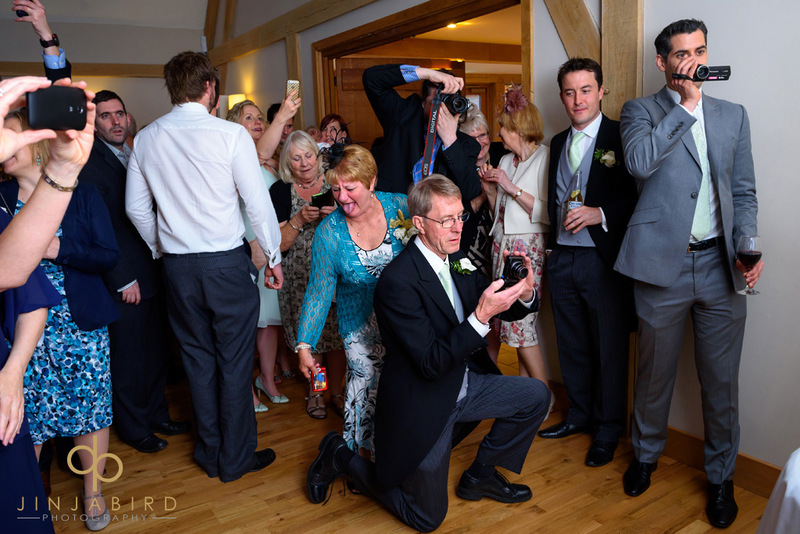 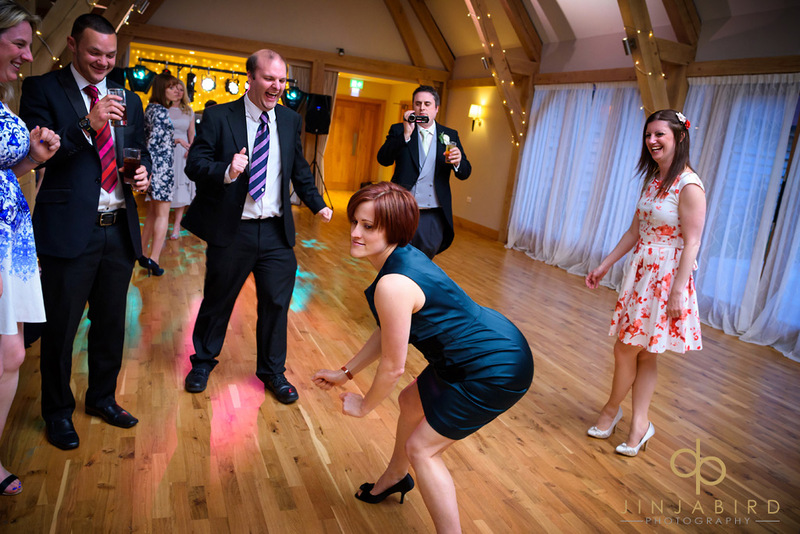 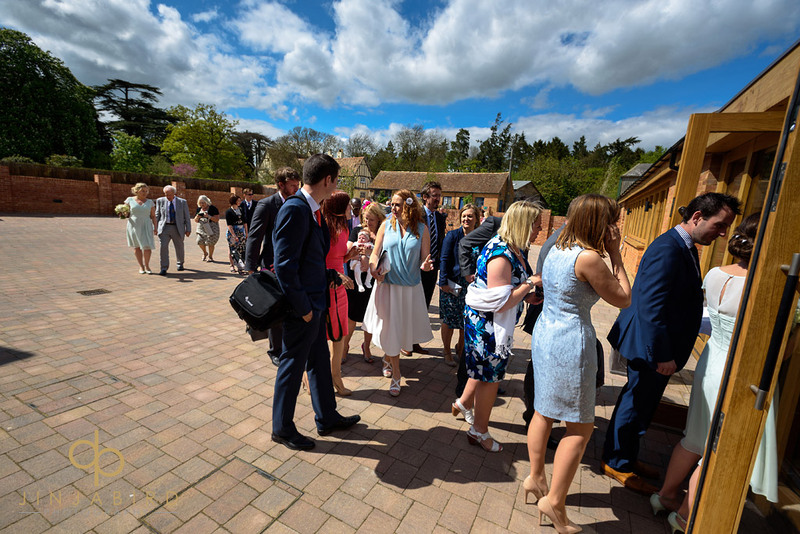 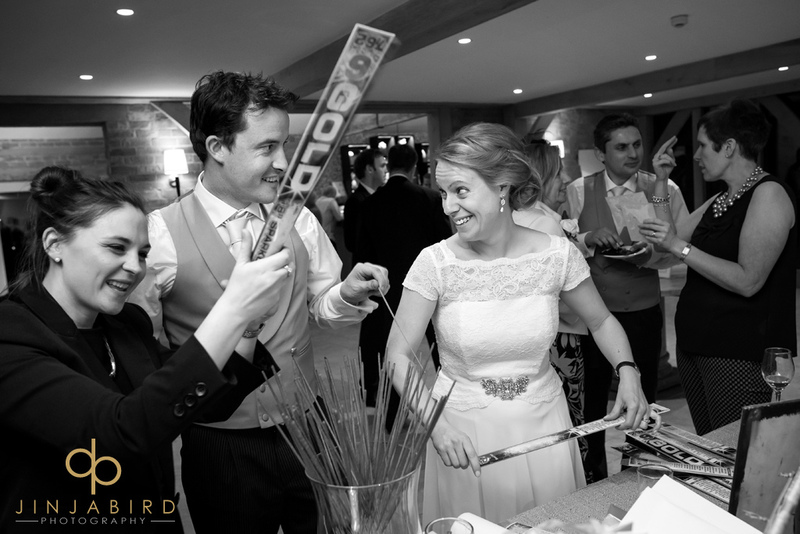 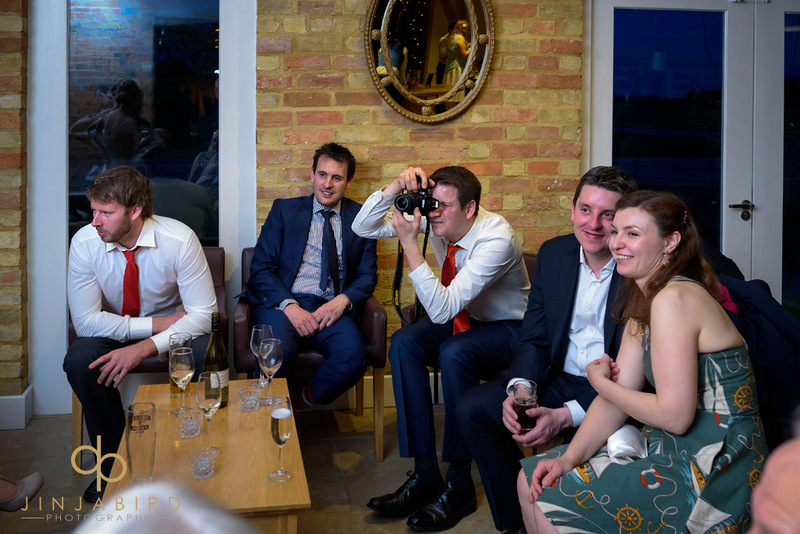 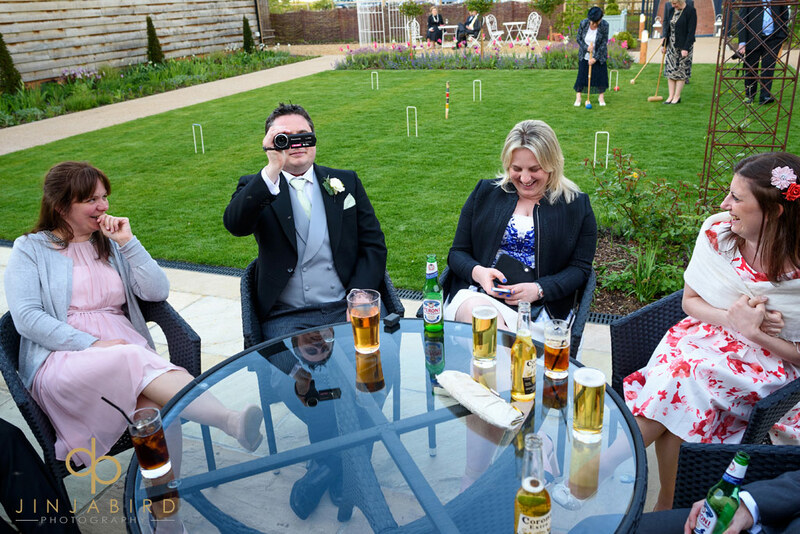 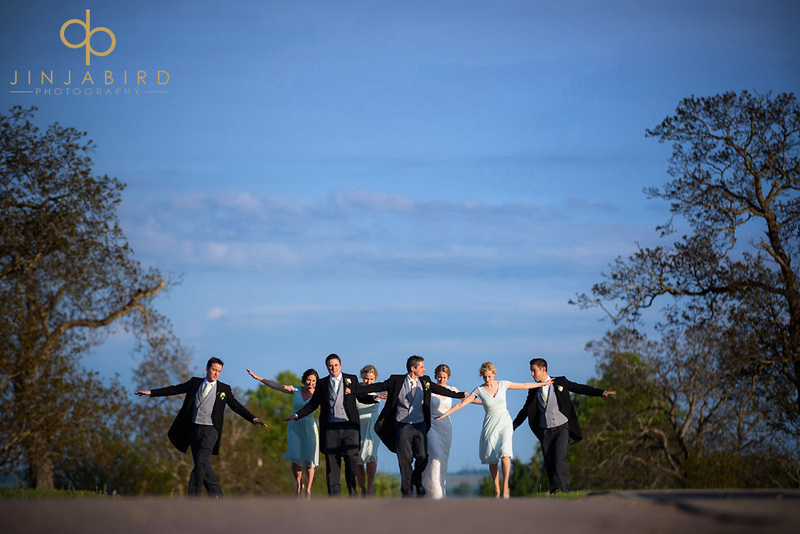 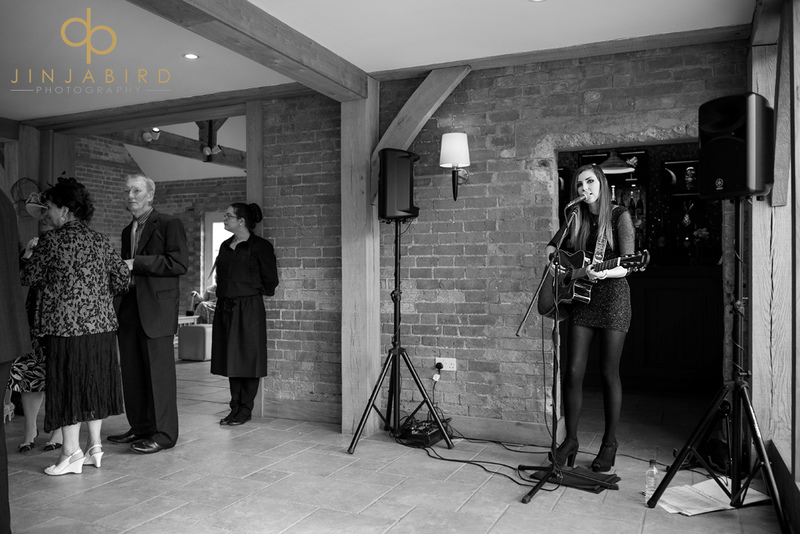 Wedding photography Bassmead Manor Barns – Jinjabird.